Our new all stainless-steel keypad with its sleek design offers you optimized cleaning, complete protection against contamination and superior reliability. It is built to withstand mechanical, human and cleaning impacts for years of reliable use. Optimize your cleaning efficiency. The terminal features a low surface roughness with a complete metal front and no raised buttons. This makes it simple and fast to clean. 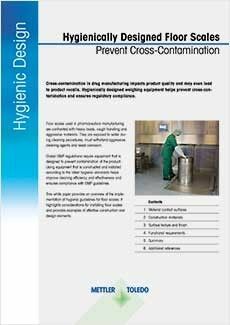 Eliminate risk of contaminants. The completely enclosed design offers immunity to moisture and external contaminants. Withstand mechanical impacts. The all stainless-steel front is immune to mechanical impacts and many aggressive substances. It can also be operated by hand or with gloves making it the perfect fit for harsh production environments that require the ultimate in robustness. Maximize uptime. Due to the smooth stainless steel surface, you gain failure-free operation and prolonged uptime, even in the most mechanically or environmentally demanding environments. Weigh quickly and easily. The inductive button technology is very sensitive and fast in its response. 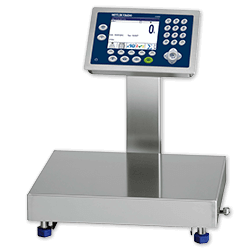 It can be adjusted to individual operator preferences, which improves the ergonomics of the scale and makes it more efficient to operate.. The latest technology of inductive-sensing buttons works by sensing when pressure is applied. This enclosed system offers you far superior durability and reliability to raised buttons that threaten water or contaminant ingress. Furthermore, the metal-clad front protects the unit's inductive keys against mechanical damage and ensures failure-free operation even in tough environments. The new metal keypad is available for our ICS429 and ICS689 series. Watch our new video to learn how it can help you in your weighing operations today. 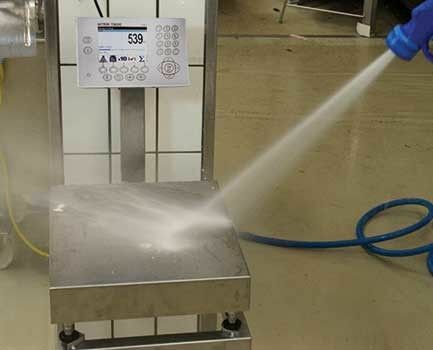 This white paper provides an overview of hygienic guidelines for floor scales and explains how improved clean-ability helps prevent cross-contamination.